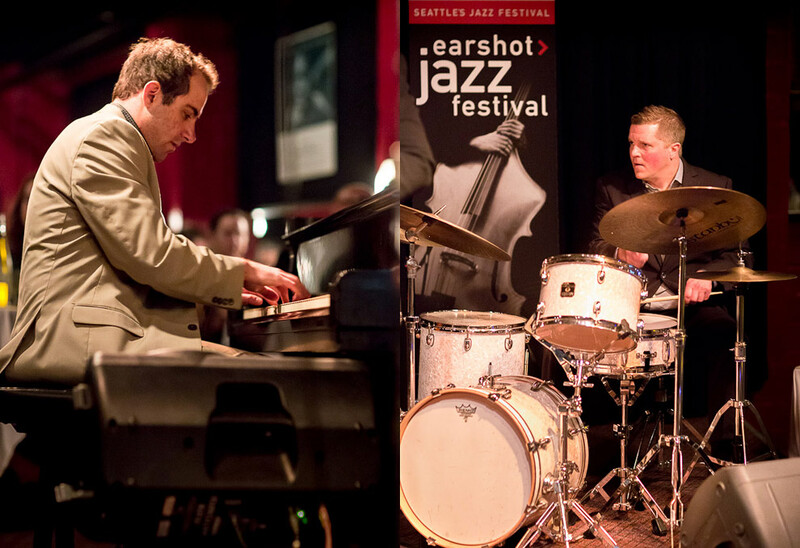 On November 2 at EMP, the 2014 Earshot Jazz Festival presented a new trio featuring Ted Poor on drums, Cuong Vu on trumpet and effects, and Pete Rende on synths. 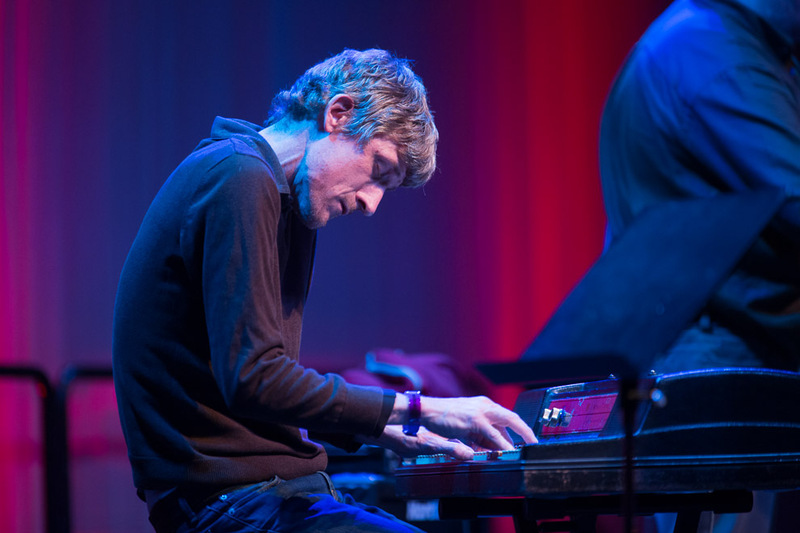 The well-documented, 10-year hook up of Ted Poor as the creatively rhythmic backbone to Cuong Vu’s torrential-but-virtuosic textures takes on brand new possibilities with Pete Rende on synths. The performance was an emotive study in power and refinement, and the newest installment of a storied musical journey. 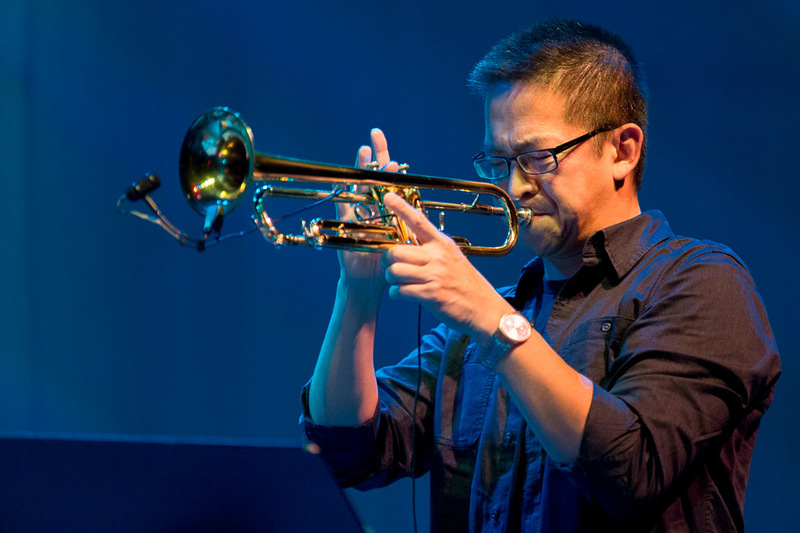 Widely recognized by jazz critics for his unique musical voice, Vu has established himself as one of the leading trumpeters in new jazz and improvised music. 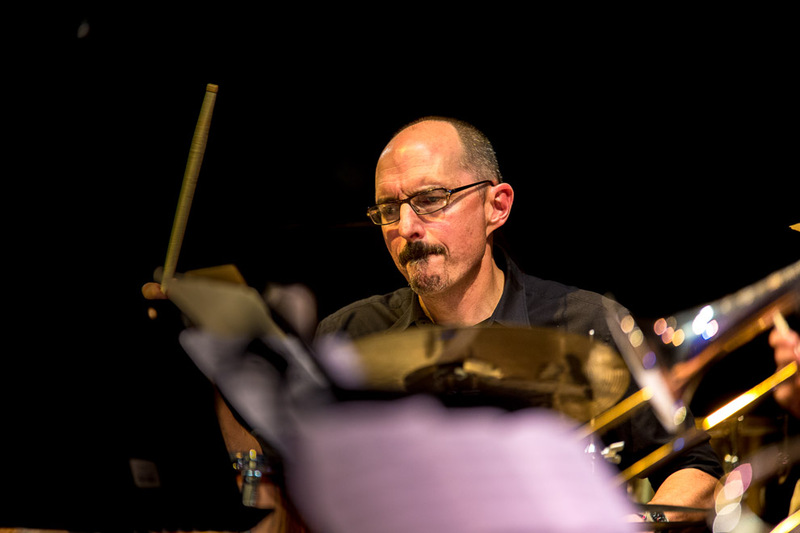 After an extended period in New York City, the Seattle native returned in 2007 as an associate professor at the University of Washington, where he is currently the Donald E. Peterson Endowed Professor and Chair of the Music Department’s Jazz Studies Program. 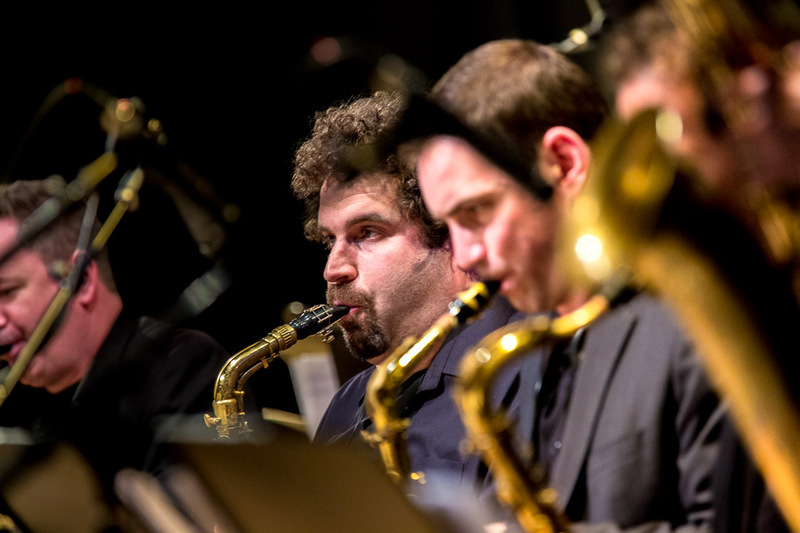 Vu has extended great effort to support and grow the city’s local jazz and improvised music scenes. 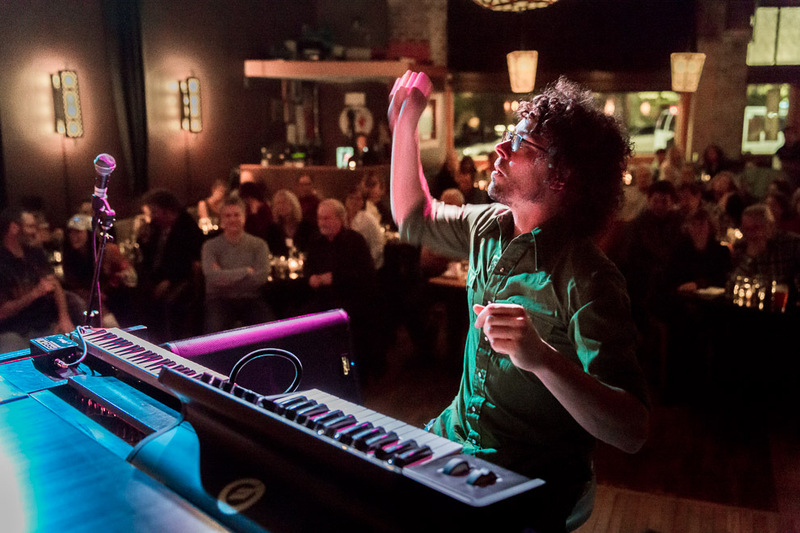 “His presence here has been crucial to expanding the local experimental music scene,” noted Seattle magazine in 2012. 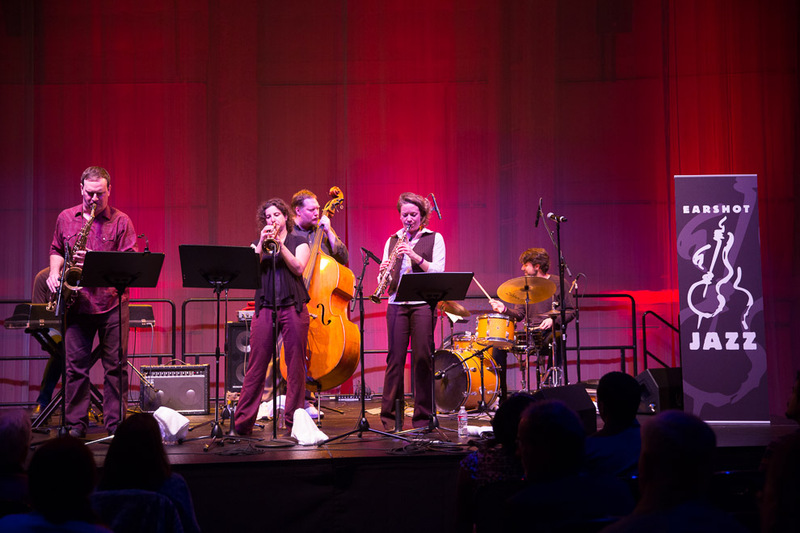 Vu advises the Improvised Music Project, a UW-based advocacy group comprised of many of his former students that promotes improvised music and regularly hosts performances at the Café Racer sessions. “By all accounts he has galvanized his students,” observed Nate Chinen in 2010, “charging them with a radical sense of purpose and advocating on their behalf.” It’s an ethos that more than vaguely resembles the 1990s “downtown” scene that Vu was part of early in his career, the energy of which he has likened to Seattle’s current jazz scene. A frequent collaborator of Vu’s, Poor has held residencies and several prestigious academic institutions and is currently Artist in Residence at the University of Washington. 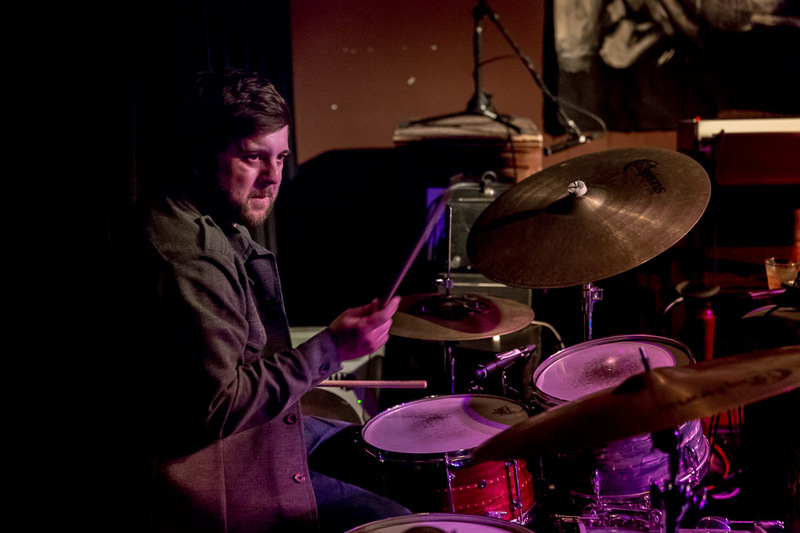 The drummer graduated from the Eastman School of Music in 2003 and subsequently became a significant force in New York’s improvised music scene. 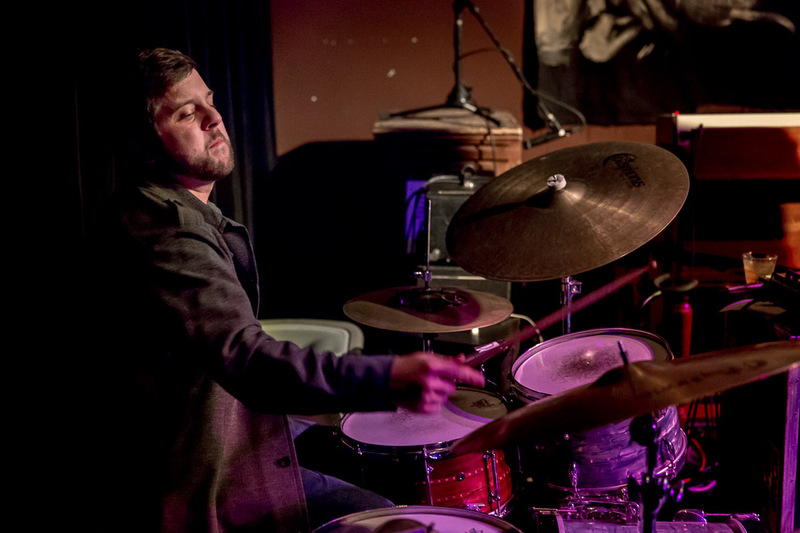 Described by Modern Drummer as an “adventurous, truly dynamic, and forward thinking drummer, he is in high demand as a player and has performed and recorded Kurt Rosenwinkel, Bill Frisell, Mark Turner, Chris Potter, Kenny Werner, Maria Schneider, Aaron Parks and Ralph Alessi. 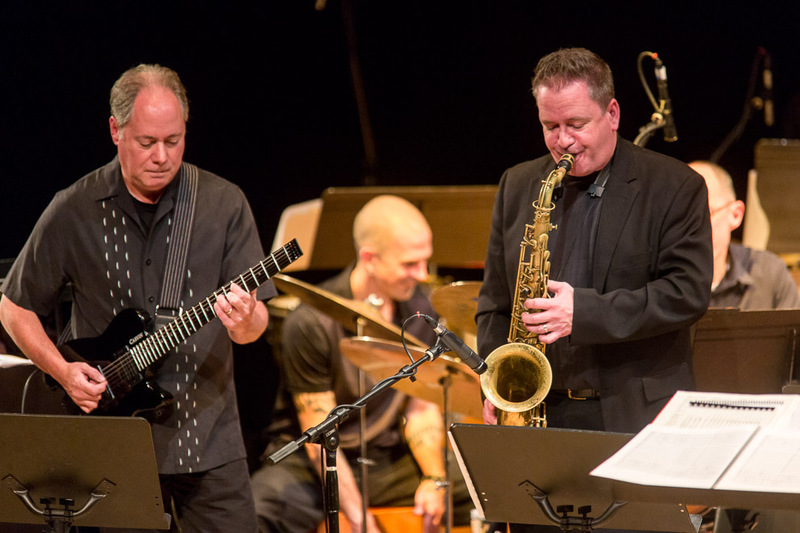 The 2014 Earshot Jazz Festival presented Battle Trance in concert on Nov 1. A special sound I really liked. 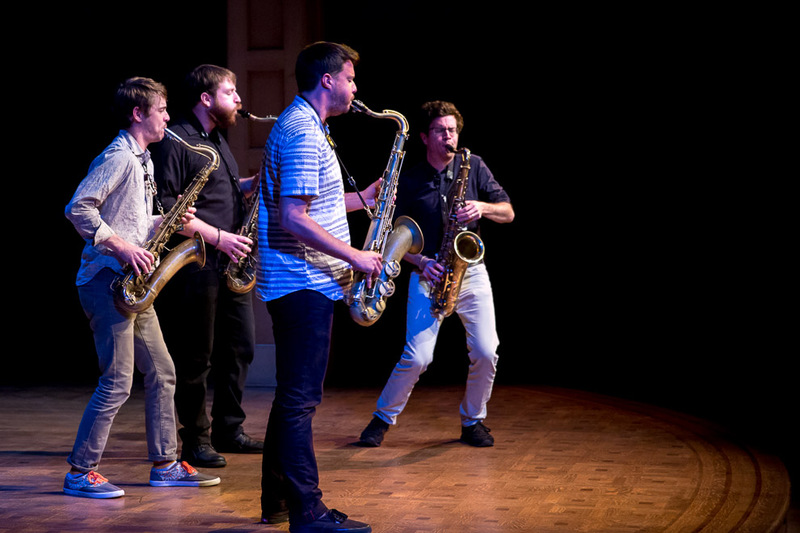 What happens when you wake up one morning with the unshakable feeling that you need to start a tenor saxophone quartet with three people you barely know? If you’re Travis Laplante you don’t question the impulse, you just follow the muse. And follow it he did, as the ensemble, Battle Trance, was formed that very evening. 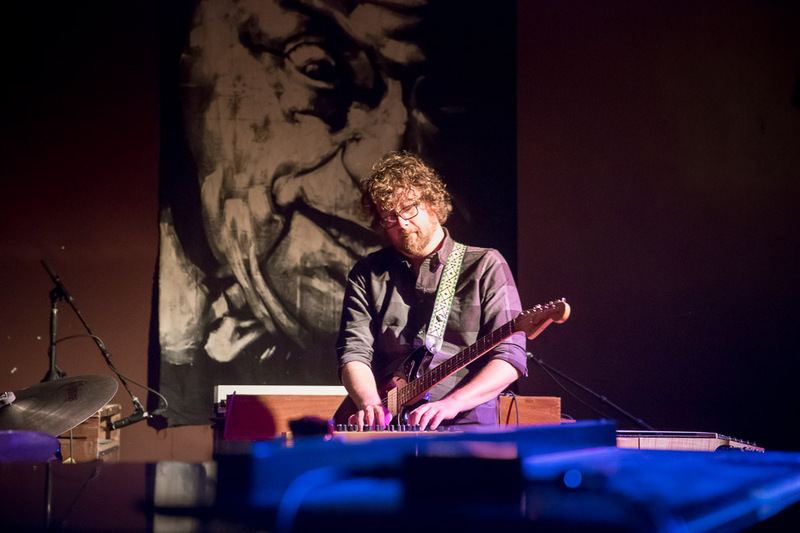 With comparisons to figures such as Anthony Braxton and Albert Ayler, Travis Laplante’s music aspires to the sublime and otherworldly. 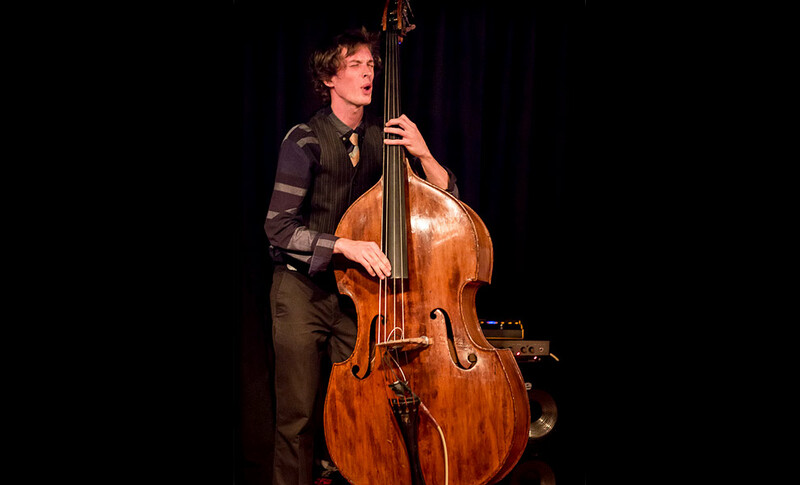 In addition to this newly created ensemble, he also plays in the trio Little Women with bassist Trevor Dunn and drummer Ches Smith, and is highly regarded as an innovator on his instrument. 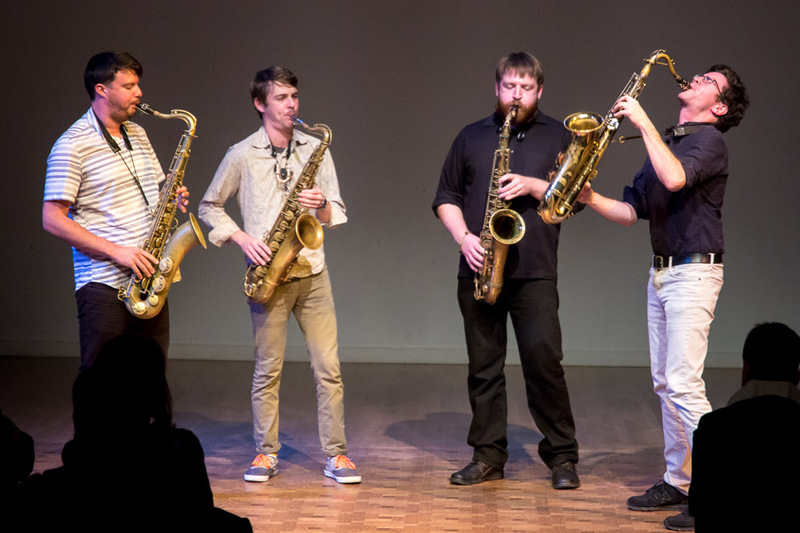 He is joined in Battle Trance by three other leading tenor saxophonists: Matthew Nelson, Jeremy Viner, and Patrick Breiner. 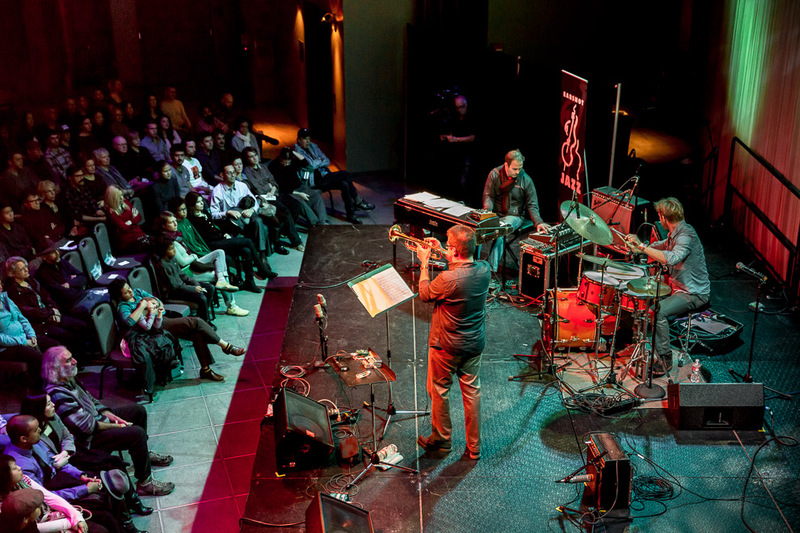 November 1 the 2014 Earshot Jazz Festival presented the Jacob Fred Jazz Odyssey at the Royal Room. 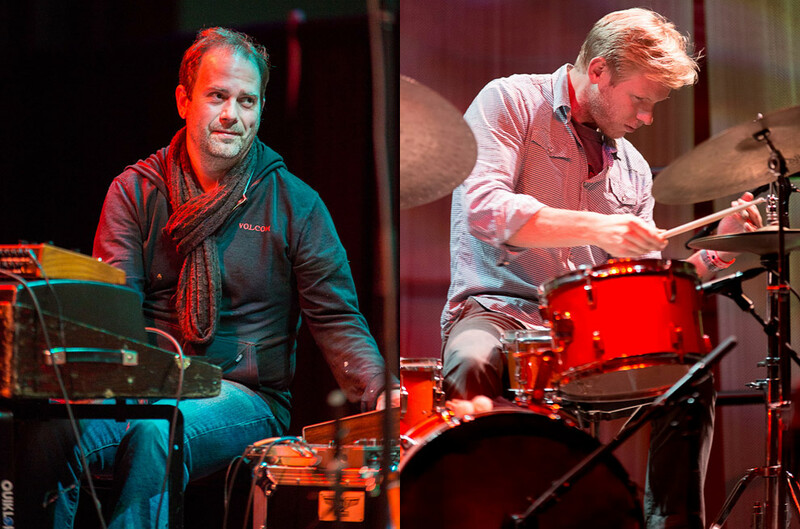 Jacob Fred Jazz Odyssey is the acclaimed, road-sharpened trio of Brian Haas (piano/Fender Rhodes/bass Moog/synth), Chris Combs (electric guitar/lap steel guitar/synth), and Josh Raymer (drums). “It swings, it sways, but the jazz trio form in their hands has an almost primitive, inside-yourhead, idiosyncratic quality” (DownBeat). While navigating 20 years, 16 members, 25 albums, and countless tours around the world, JFJO has become an institution in modern music. Defined by evolution and change, the band has invented its own language, one which permeates JFJO’s sound regardless of configuration. 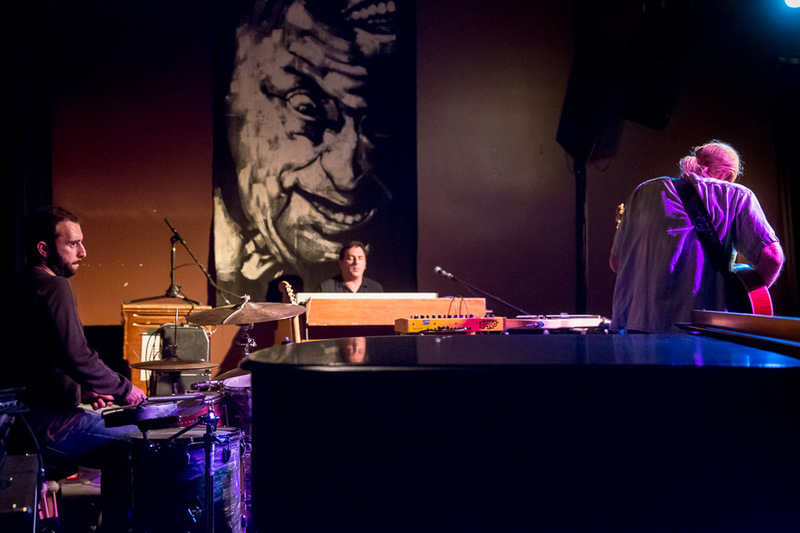 Beginning in Tulsa, OK, in 1994 as a funky octet with MCs and horns, JFJO became an instrumental trio in 1999, a quartet in 2007, and expanded to a 9-piece ensemble for 2011’s acclaimed Race Riot Suite. 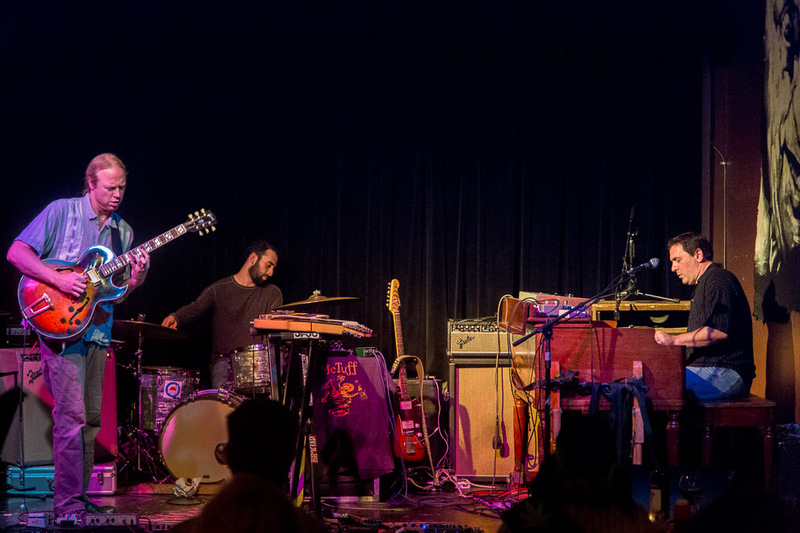 Celebrating their 20th anniversary in 2014, this year finds the band returning to the trio setting with two new albums on the revered Brooklyn record label, Royal Potato Family. In October, JFJO drops Worker, a brand new collection of songs that defy expectation. 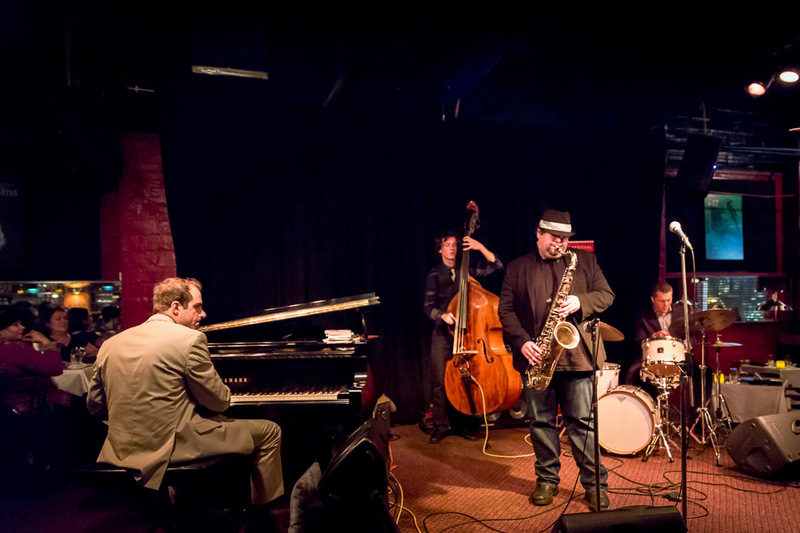 On Friday October 31 at Tula’s I photographed the Frank Catalano Quartet as part of the 2014 Earshot Jazz Festival. 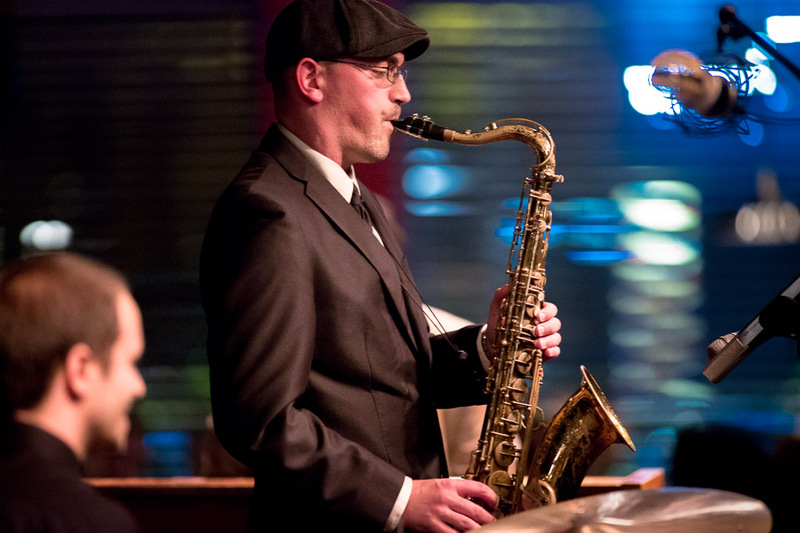 The brawny Chicago saxophonist ranges from tempered swing to the rapid-fire energy that has won him gigs with both Santana and Ministry. 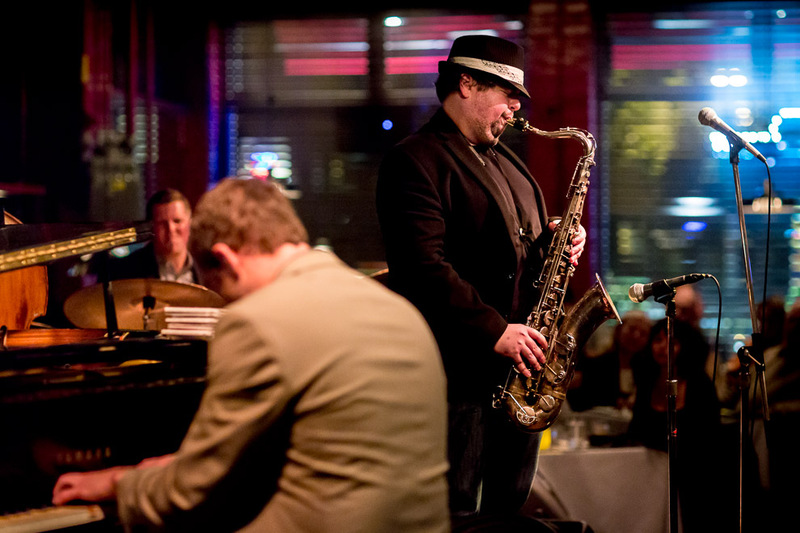 On the heels of two new recordings, the rock-solid quartet lit up two evenings at Seattle’s classic jazz club. 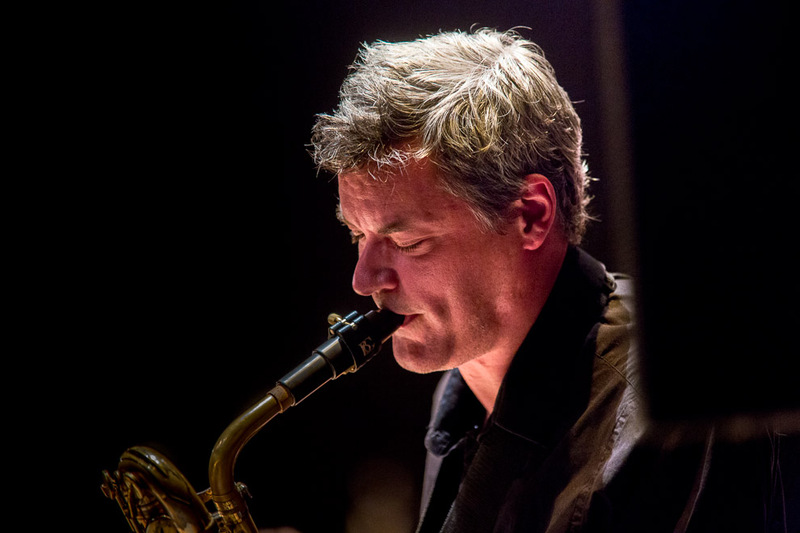 Frank Catalano’s new Ropeadope recording debuted at #1 on the iTunes jazz sales chart. 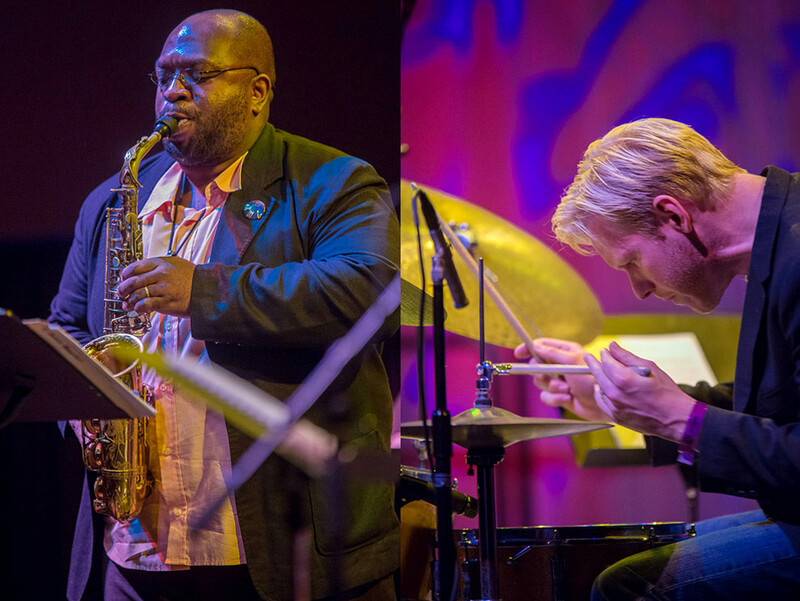 Love Supreme Collective is an homage to John Coltrane and features Jimmy Chamberlin (Smashing Pumpkins), Percy Jones (Brand X), Chris Poland (Megadeath), and Adam Benjamin (Kneebody). 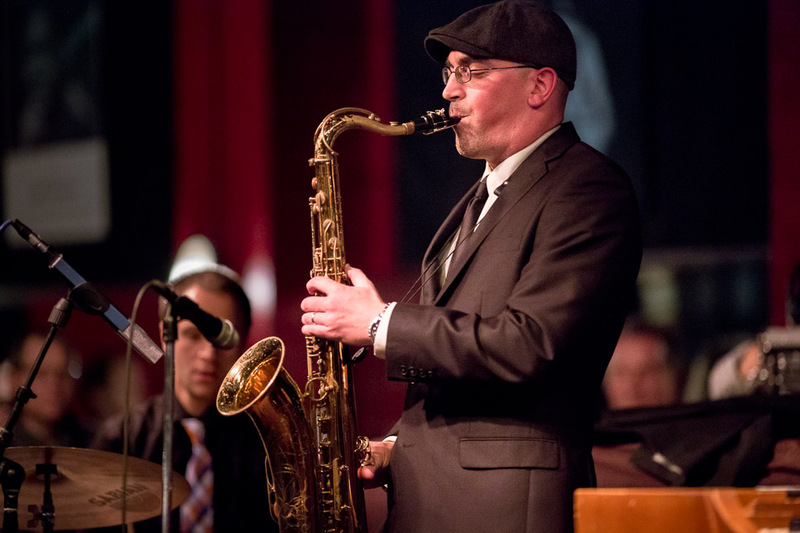 Now 37, Catalano is the only known saxman to have performed with Miles Davis, Randy Brecker, Charles Earland, Elvin Jones, Stan Getz, Betty Carter, Von Freeman, Tito Puente, Tony Bennett, Les Claypool and Louis Bellson while still in high school. This led to his signing to Delmark Records at age 18 and a string of critically acclaimed recordings. Catalano has been heard by millions of people all over the world, thanks in part to 3 Grammy-winning and 11 Grammy-nominated recordings with artists such as Jennifer Lopez, Destiny’s Child, and John Legend, and has performed live on Oprah with singer/composer Seal. No stranger to adversity, Catalano cut off his right middle finger in an automobile accident. 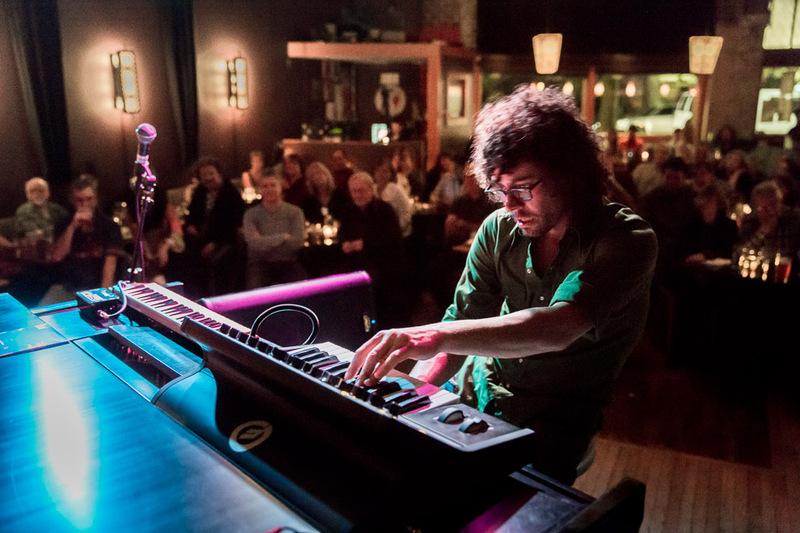 After several surgeries and much effort, Catalano relearned his signature technique, making him one of the most in-demand musicians today. He regularly donates his musical services to the Susan G. Komen Breast Cancer Foundation. 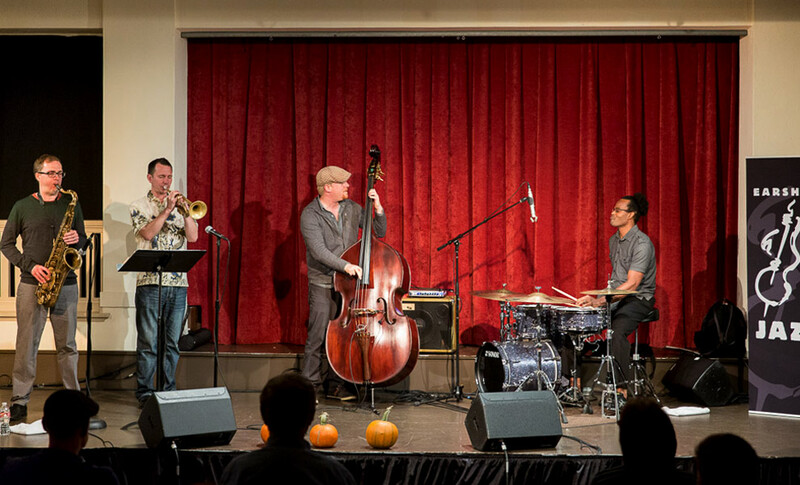 Chad McCullough: Spin Quartet were presented by the 2014 Earshot Jazz Festival at Town Hall on October 31st. I really enjoyed their show. Four modern jazz artists coming together to weave their stories, intertwine their art, and push forward in new directions – the Spin Quartet is a creative vehicle for saxophonist Geof Bradfield, trumpeter Chad McCullough, bassist Clark Sommers, and drummer Kobie Watkins to seamlessly blend as composers and instrumentalists of the highest caliber. 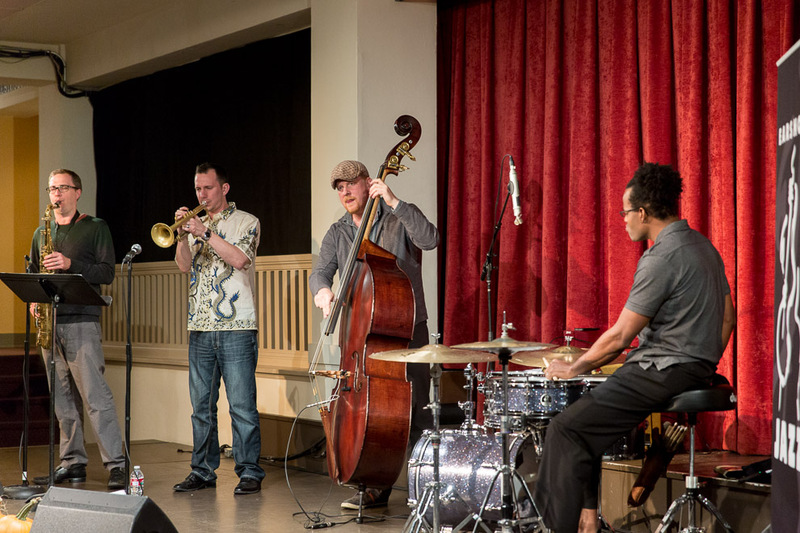 Spin Quartet features another triumphant Seattle return in Chad McCullough, the Seattle-reared trumpeter, and member of the Origin Records crew, who is now based in Chicago and gaining international recognition as, “a thoughtful improviser with technique to spare” (AllAboutJazz.com). 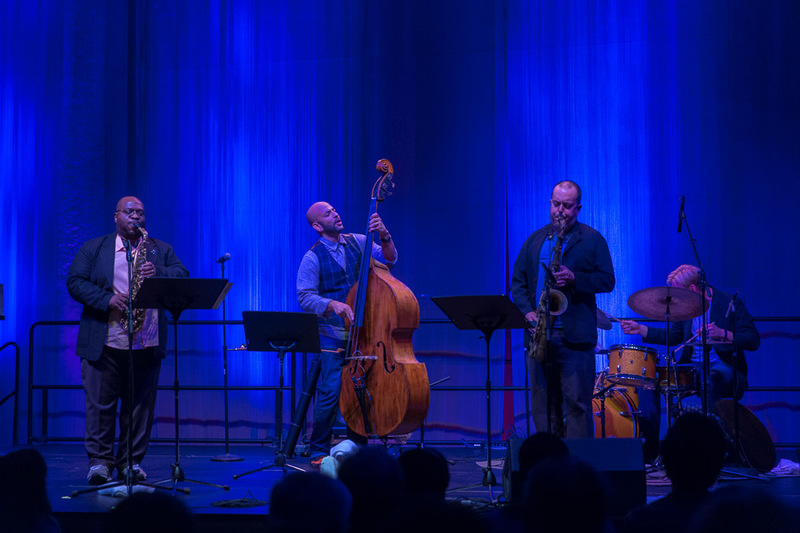 Though the four are considered rising jazz stars, they are also seasoned sidemen, associated with revered artists like Sonny Rollins & Kurt Elling, to name just a few. This is music with purpose and sound with intent, by artists who work together to shape and define the music. The forward-looking melodic sensibility is steeped in tradition, but the in-the-moment dialog keeps listeners engaged and on their toes. 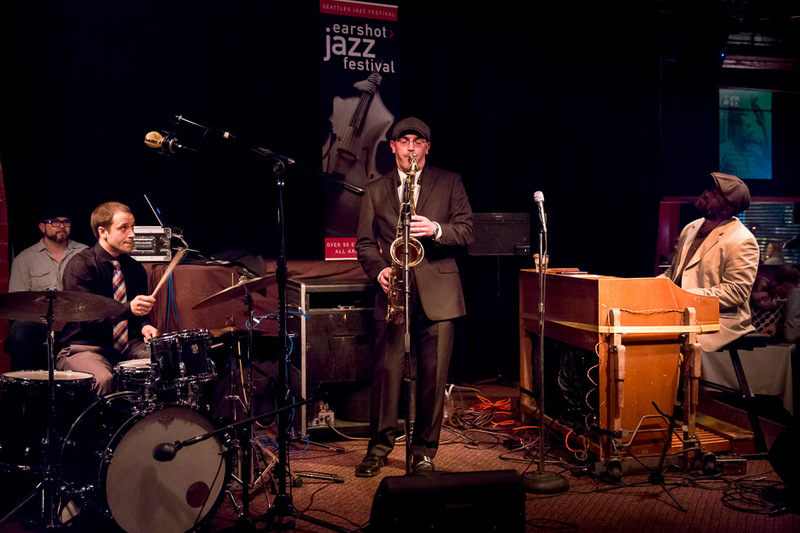 Also playing at EMP on October 29th for the 2014 Earshot Jazz Festival was the Eric Revis Quartet in a beautiful set of music. Often called New York’s first-call bassist, Eric Revis has built a distinguished career as a session player and bandleader. 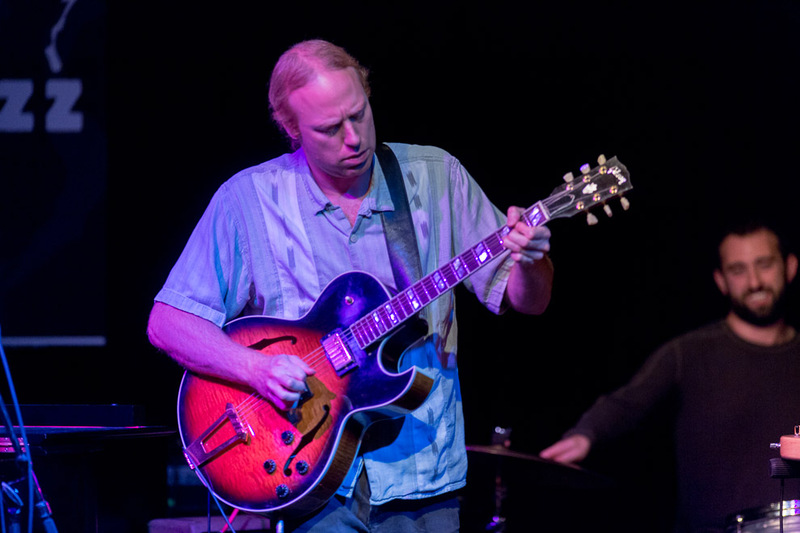 He is known most for his work with the Branford Marsalis Quartet and the trio Tarbaby, which he “tri-leads” with Orrin Evans and Nasheet Waits. Born in Los Angeles, Revis began playing bass at age 13. 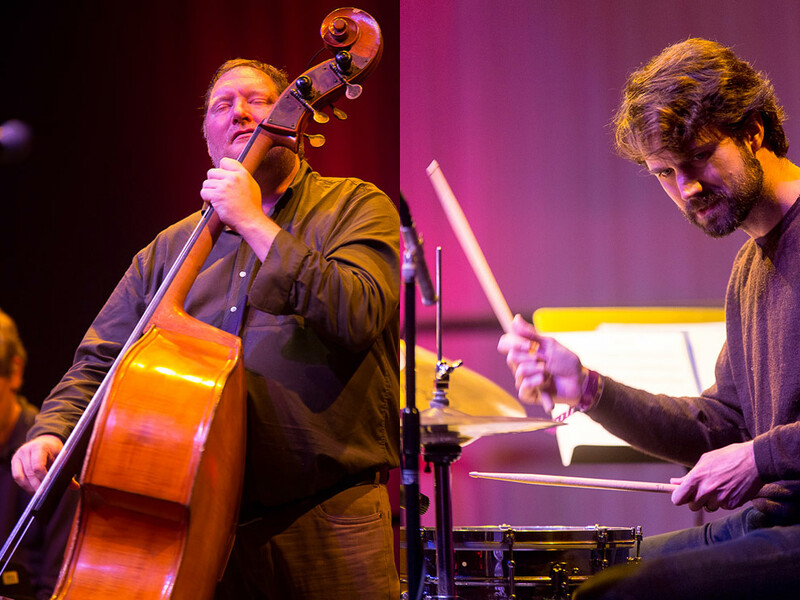 When he later moved with his family to San Antonio, he played in an alternative rock band, but soon discovered a connection to jazz. 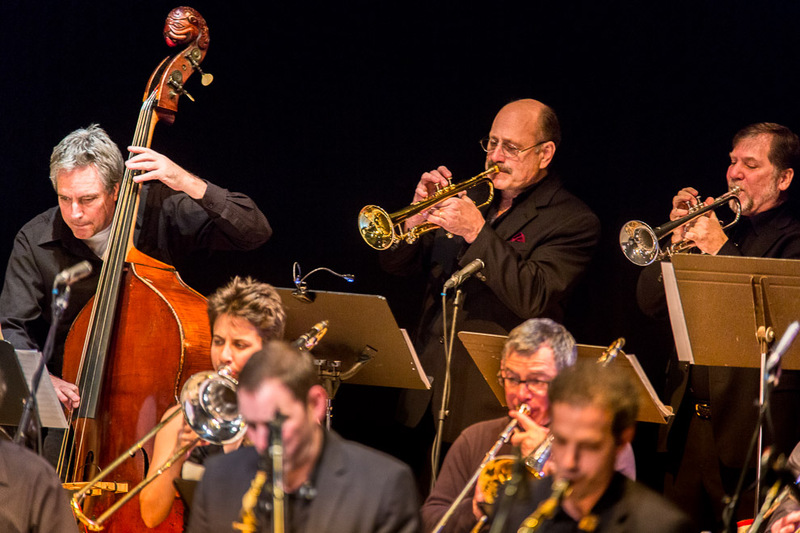 “Jazz just kind of stuck,” he told Jazz Times in a recent interview. A bandmate from the alternative rock band he played in had a large record collection and would frequently loan Revis recordings. “He wasn’t separating the music by style; Miles Davis and Kenny Dorham came along with Ornette Coleman and the AACM. I really identified with everything,” he recalled. 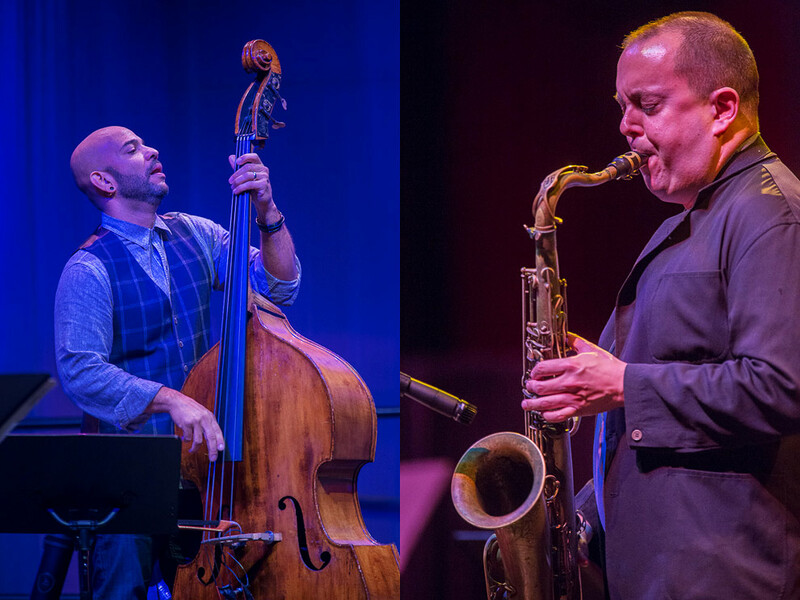 Graduating from the University of New Orleans (in Ellis Marsalis’ program), Revis moved to New York in 1993 and soon began playing with the legendary jazz vocalist Betty Carter. In 1997, he joined the Branford Marsalis Quartet, of which he is still a member, and quickly gained a reputation for his powerful approach to playing the bass. “He plays with a certain kind of physical authority you don’t find very often,” Branford Marsalis told Jazz Times. 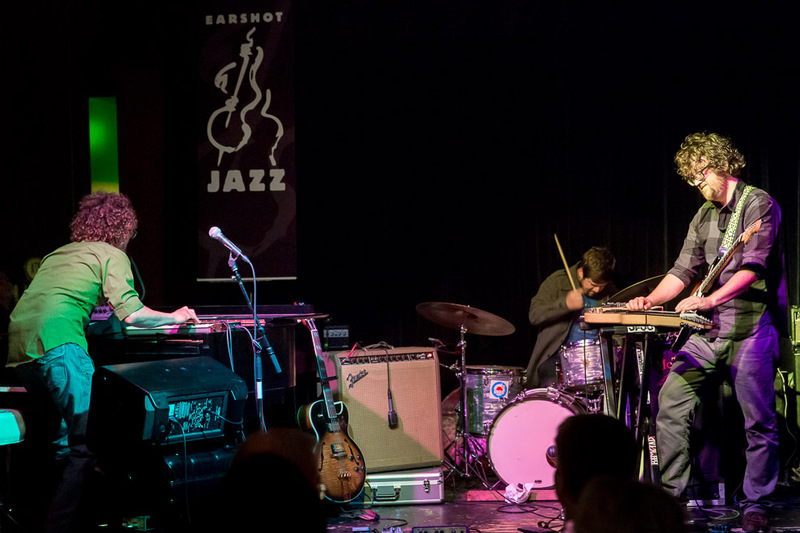 Kate Olson brought her sextet to EMP during the 2014 Earshot Jazz Festival on October 29th and her sound was great. 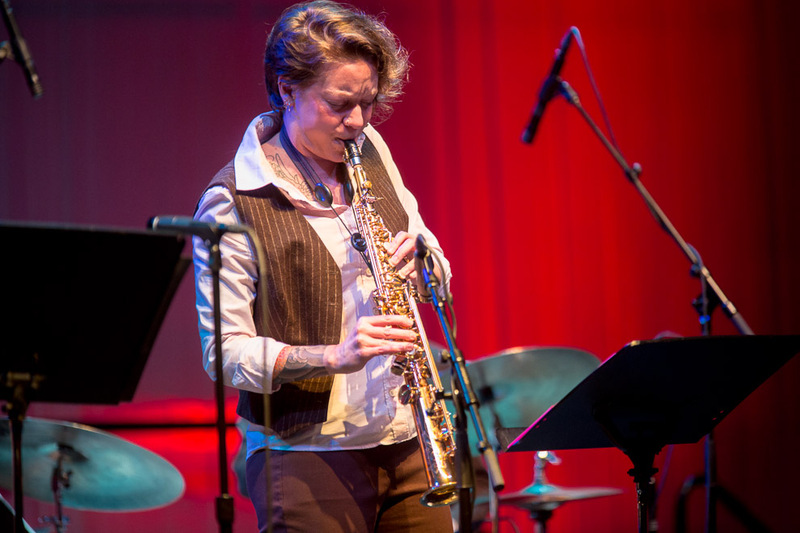 Since moving to Seattle in 2010, improvising saxophonist and woodwind teacher Kate Olson is fast becoming a mainstay on the local jazz and improvised music circuit. 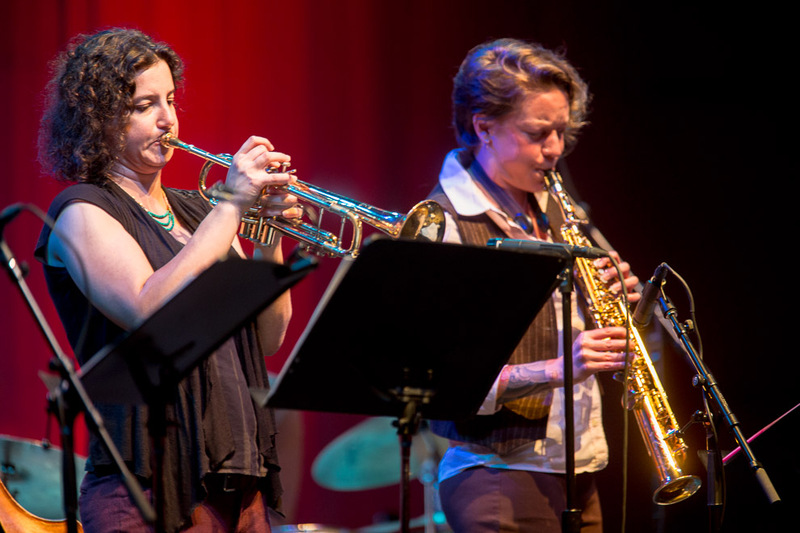 She can be heard performing with her own projects Syrinx Effect, KO SOLO, and the KO Ensemble, and as a collaborator with the Seattle Rock Orchestra, the Royal Room Collective Music Ensemble, the Seattle Jazz Composer’s Ensemble and multiple other groups. 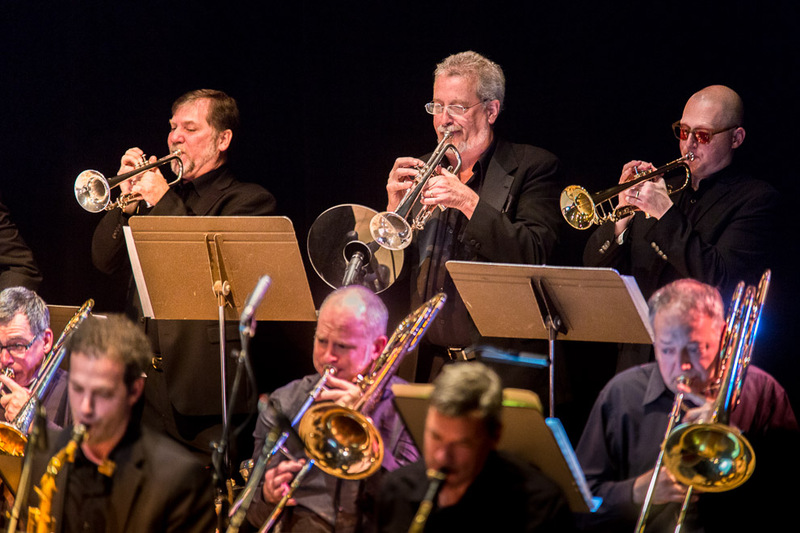 In addition to Olson, the sextet comprises Sam Boshnack on trumpet, Chris Credit on tenor sax, Geoff Harper on bass, Tim Kennedy on keyboards, and Eric Eagle on drums. 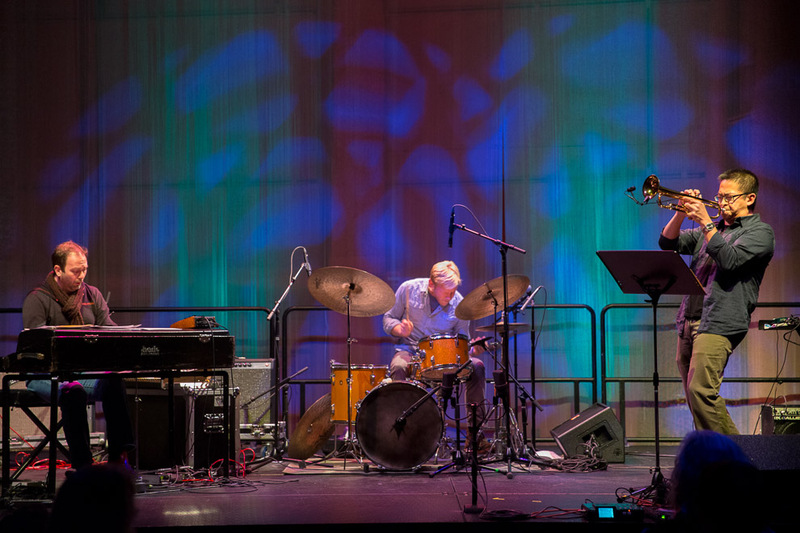 Daniel Barry’s Celestial Rhythm Orchestra was another 2014 Earshot Jazz presentation on SUNDAY, OCTOBER 26, at the SEATTLE ART MUSEUM. 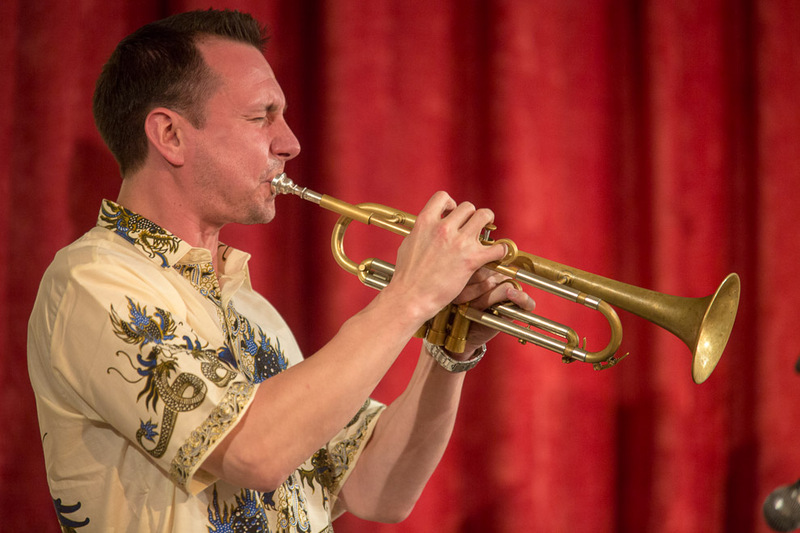 Renowned for distinctive compositions and arrangements, this fine trumpeter has used much-sought regional grants to create music for a large ensemble of Seattle’s best players that is “fresh and imaginative, and has a hip, tongue-in-cheek sort of style” (Audiophile Audition). 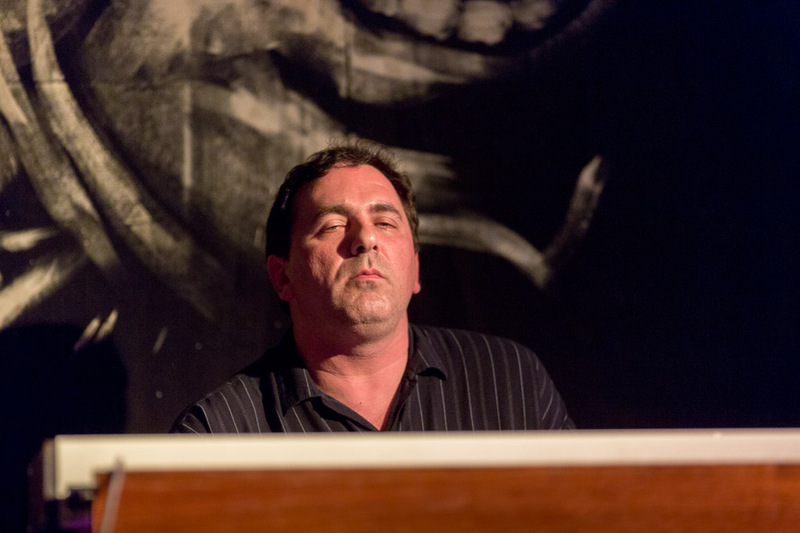 Daniel Barry’s music falls primarily into the jazz category but assembles ideas from Afro-Cuban, Afro-Peruvian, Brazilian and Romanian musical traditions. 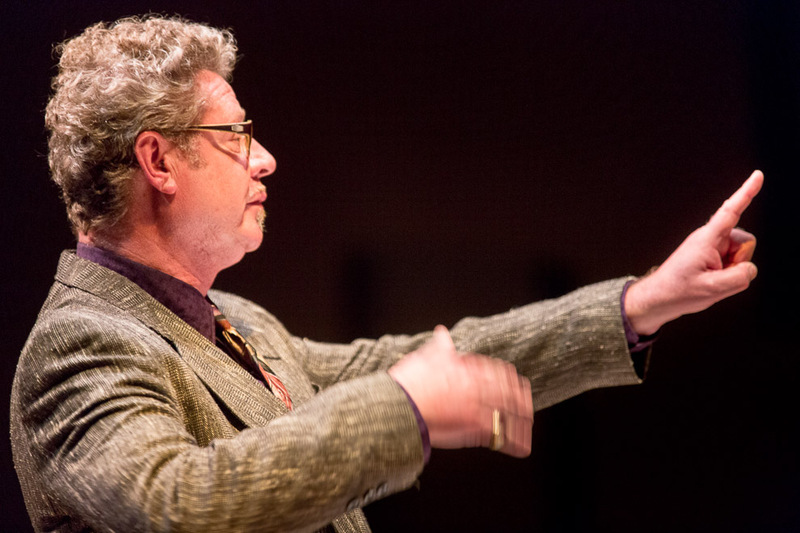 During the last five years, Barry has conducted performances of his large ensemble compositions in Reykjavik, Iceland; Oslo, Norway; Rio de Janeiro, Manaus, Diadema, Sao Paulo, Campinas, and Tatui, Brazil; Lima, Peru; and Denver, Colorado. 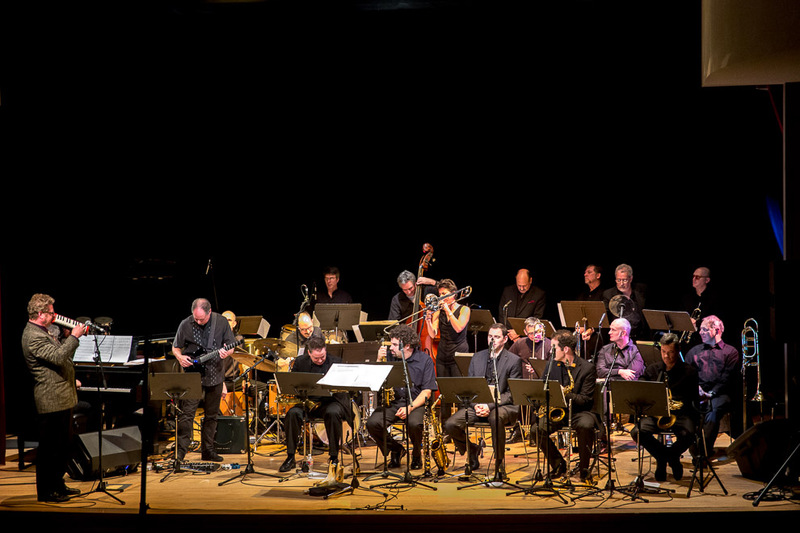 The 20-piece orchestra is Daniel Barry (composer/conductor); Steve Treseler, Gordon Brown, Mark Taylor, Paul Gillespie, James DeJoie (saxophones); Steve Mostovoy, Mike Mines, Al Keith, Thomas Marriott (trumpets); Scott Brown, Naomi Siegel, Nathan Vetter, Dave Bentley (trombones); Dennis Rea (guitar); Jovino Santos Neto (piano); Chris Symer (bass); Greg Campbell (drums); Ben Thomas and Chris Monroe (percussion). The savvy south Sound saxophonist has shaped lessons from Seattle masters like Don Lanphere, Hadley Caliman, and Julian Priester into solid, hard-grooving jazz. Kandi’s fat tone, reminiscent of the great Dexter Gordon, is a perfect fit for Delvon Lamarr’s soulful B3 organ. 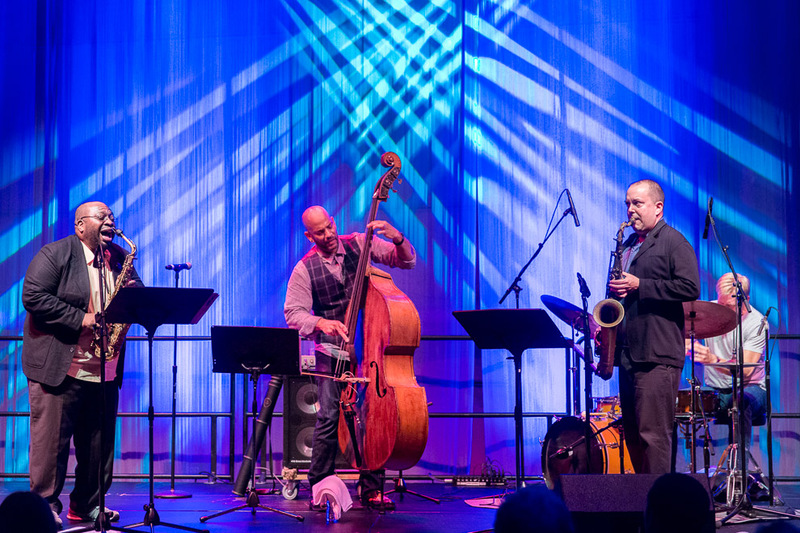 Growing up in the Northwest, with its vibrant music scene, allowed Kandi the opportunity to study with, listen to and perform with world class jazz artists residing in the area. Artists such as Tracy Knoop, Jay Thomas, Don Lanphere, Bill Ramsay, Hadley Caliman, Julian Priester and many others had a large impact on Kandi early in his musical education. This direction and guidance continues to inspire and lead him as he continues his lifelong passion. Today, Kandi spends most of his time leading his Kareem Kandi Band, for which he composes and arranges most of the music. 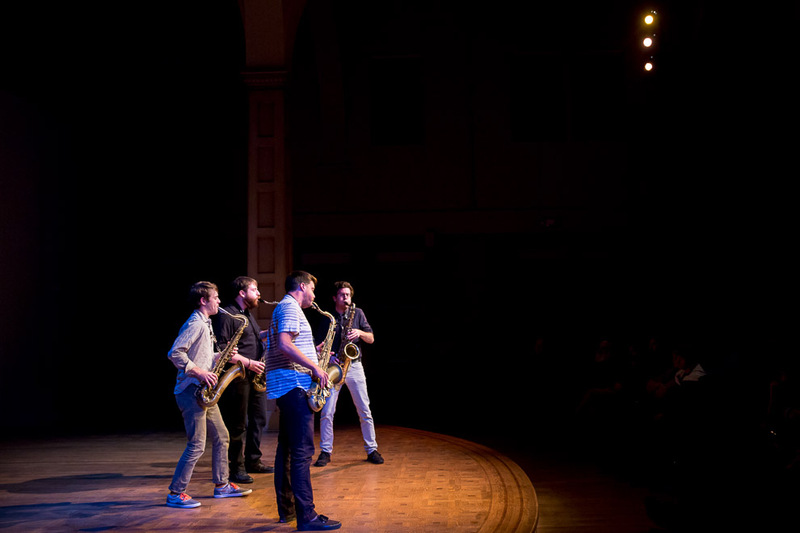 The band is constantly on the move as a sought after performing group and spends most of its time performing in and around the Pacific Northwest. When not leading his own group, Kandi can be seen and heard performing as a sideman with many other top-notch musical acts and projects, most notably The Paperboys from Vancouver, BC. 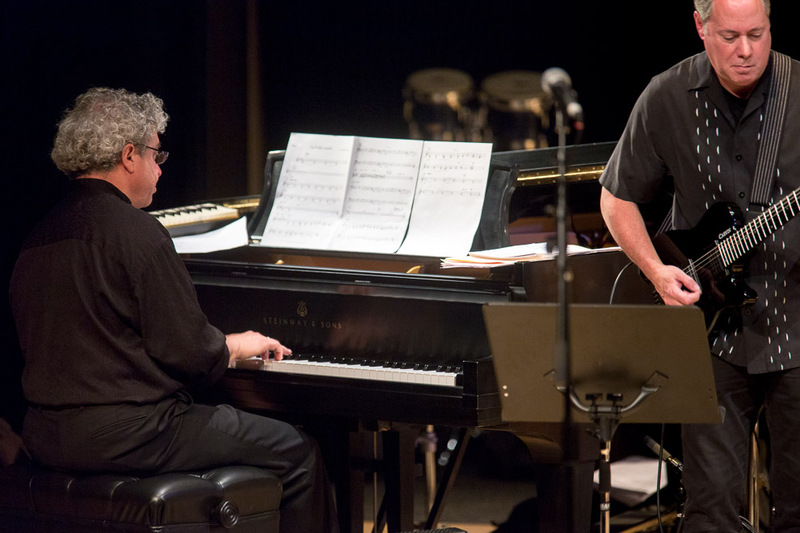 As an educator, Kandi divides his time teaching jazz improvisation as an artist-in-residence at the Tacoma School of the Arts, directing the award-winning student jazz ensemble at Pierce College, conducting masterclasses and workshops at schools around the Puget Sound area, and maintaining a full load of private students.